Farmers have warned that the rollout of broadband to rural Ireland cannot be allowed to ‘fall off the cliff’ due to Brexit. 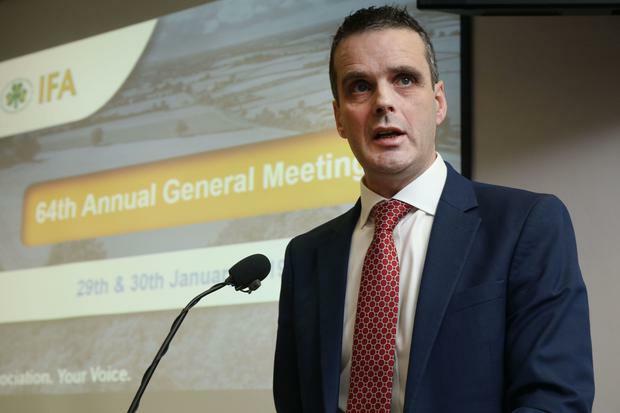 The remarks by Irish Farmers’ Association president Joe Healy came after Taoiseach Leo Varadkar indicated that the need for a Brexit bailout for farmers could affect the National Broadband Plan (NBP). The NBP has been beset with difficulties and delays, and there are claims that costs could spiral into the billions. The Government is to make a decision on the future of the plan before Easter. Mr Healy said broadband was an “essential tool” for farmers and businesses and there were still many parts of rural Ireland with a “very poor service”. He told RTÉ Radio that broadband and the fallout from Brexit were two key priorities. He outlined the Brexit threat to the beef and dairy sectors in particular. He said the IFA knew there was a finite amount of money but was hoping the EU would “pony up” support for farmers if the UK crashes out of Europe without a deal. “It shouldn’t be a case of either or. Both are priorities for rural Ireland,” he said.